well, the days continue to be a bit of a struggle over here. 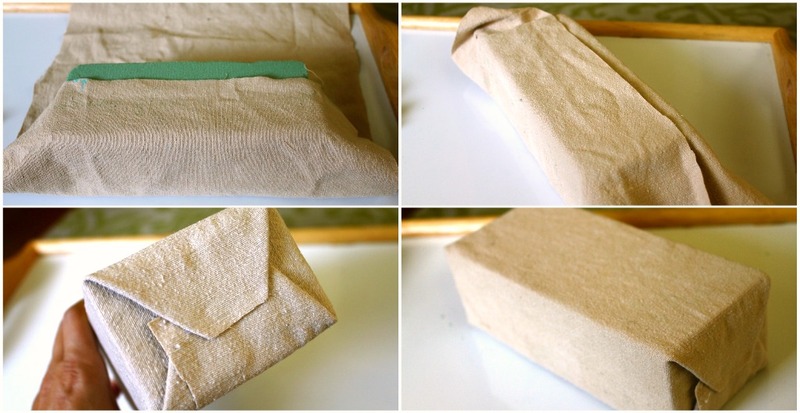 wrap the floral foam with the fabric, just like you would a present. use some hot glue in spots to keep it on. the fabric i used was just a little too tightly woven, which later led me to give some help with the nails getting started. golf tees make good "nails" also.